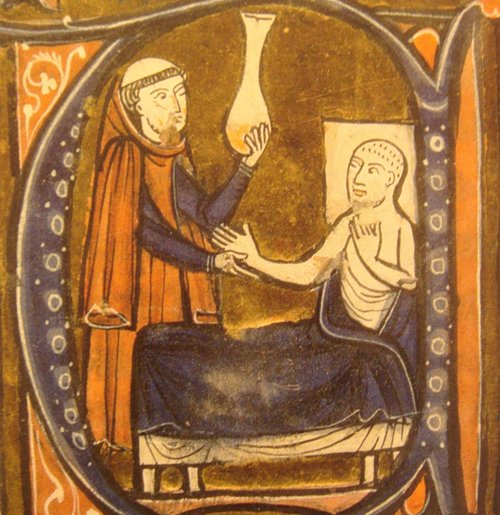 Medicine as a profession has been regarded since the time of Hippocrates as a vocation rather than an occupation. The values that define this vocation have been referred to as “medical professionalism” (Mueller, 2009). Professionalism, however, takes its root for the Christian physician in the Christian ethic, as a derivation of the gifts of the Holy Spirit. Strong parallels can be drawn between the description of medical professionalism and Christian virtues. However, current radical changes are occurring in the practice of medicine that are not driven by either professionalism or virtue, but rather by medical economics, at least in the United States. Medicine as it is practiced in the United States is undergoing a cultural, governmental, and economic revolution. We have changed from a primary fee-for-service system to a heavily governmental-influenced payment system. The government has borne the brunt of recent economic difficulties, and in turn the government payment system, which pays for medical practice in hospitals in the United States, has created pressure on those institutions. The relationship between the patient and doctor is no longer the prime focus, and has been co-opted by the influence of third-party payers, and now increasingly the United States government. This economic reality has strongly challenged the cultural and Christian character of many healthcare institutions. The last four years have brought the challenges of the Affordable Care Act, with the Health and Human Services Mandate additionally being in conflict with medical professionalism and Catholic practice in both inpatient and outpatient institutions. This is particularly so in Catholic hospitals. The Mayo Clinic has been a prominent influence in American medicine for more than a hundred years. The evolution of the interface between professionalism, the practice of medicine at the Mayo Clinic, and its interface with Saint Marys Hospital, its principal Catholic in-patient hospital for more than 100 years, are being played out in real time in 2013. The changes that occurred in March 2013 at Mayo Clinic and Saint Marys Hospital serve as a significant example of changes in American culture, medical economics, and the decline of Catholic religious influence on medicine (Mayo Clinic News Center, March 25, 2013). As economic background to this specific example, the latest figures from 2012 showed that Mayo Clinic reported annual revenue of 8.8 billion dollars. It finished with 395 million dollars of net income from activities with an operating margin of 4.5%. It employs in Rochester, Minnesota, 34,223 people (Mayo Clinic News Center, Feb 28, 2013). Much of the payment for medical services provided by Mayo Clinic originates from government reimbursement. More than 40% of Mayo Rochester’s revenue originates from care for patients supported by the Medicare system. The proportion of over 65-year-old patients is expected only to grow with the aging of the baby-boomer generation that has now reached that age threshold. Mayo Clinic, as a healthcare organization, has reacted to the changing tides of the financial stress. Although it is a not-for-profit foundation, the need to remain cutting edge, and offer its patients innovation and technological advances in all areas of medicine, creates great expense and challenges for an institution operating on a narrow margin. Mayo Clinic also regards itself as a medical economic steward for southeastern Minnesota. As healthcare has become more costly, charity care for the poor and disenfranchised, which has been a hallmark of Catholic healthcare, has become more challenging. This, in concert with societal changes and trends toward secular cultural influences, challenges Catholic influence on the practice of medicine at Mayo Clinic. This will have far reaching consequences in dealing with medical decisions and controversies now and in the future. The Mayo Clinic, a secular institution, has had a close relationship with a Catholic Franciscan-run Saint Marys hospital since their respective origins in the late 19th century in Rochester, Minnesota. The relationship serves as a unique example of collaboration that is now disappearing in the context of economic and cultural change. The story of Mayo Clinic and its relationship to the Franciscan sisters has been tested in the past, and now approaches irrelevance in the context of economic realities, growth of the secular components of the medical institution, and the decline in numbers of religious women in the Franciscan order. To be specific, the Catholic identity of Saint Marys hospital is disappearing. More than a hundred years ago, Mayo Clinic and the Sisters of Saint Francis in Rochester, formed a unique, altruistic partnership, which has been sustained up to the present time. The current economic climate challenges Mayo Foundation with economic bankruptcy, and the dwindling numbers of religious women challenge the Sisters of Saint Francis to maintain their values that served to influence the Saint Marys Hospital and Mayo Clinic relationship. It is worth exploring in some detail the historical origins of Mayo Clinic and Saint Marys hospital, to put in context the deep roots that are now in a state of upheaval. William Worrall Mayo, father of the founders of Mayo Clinic, was born in northern England in 1819, and emigrated to the United States in 1845. His yearning for the frontier first caused him to learn the trades of pharmacy, then medicine at Indiana Medical College where Dr Mayo received his MD degree in 1850. By 1851 he was married, and by 1854 he is recounted by Helen Clapsattle as saying, as he hitched his horse and buggy, because of personal illness and malaria in southern Indiana, “I am going to keep on driving (west) until I get well or die” (Clapsattle, 1969). He moved on to see the Mississippi River and subsequently Minnesota, initially establishing himself in Saint Paul. In order to find his own way, he initially moved to Le Sueur, Minnesota, with his family to work as a plains doctor, also working as a justice of the peace, veterinarian, and newspaper publisher. The American Civil War in 1863, however, led to his nomination as an examining surgeon for the Union Army, whose headquarters were in Rochester, and Dr Mayo moved his family there in 1864. Even as a frontier physician, he was regarded as a man of science and famously mortgaged his home to buy a new microscope to help care for his patients. His sons, William J. Mayo and Charles H. Mayo, were born in 1861 and 1865 respectively. Their upbringing was under a “horse and buggy country doctor.” “Will and Charlie,” as they were affectionately called, were quoted as saying that they were “not geniuses. We were hard workers. We were reared in medicine as a farm boy is reared in farming. We learned from our father” (Clapsattle, 1969). Maria Moes, founder of the Sisters of Saint Francis of Rochester, was born in 1828 in Remich, Luxembourg. She came to the United States at the age of twenty-two in 1851 and was described by her companions as “strong willed, confident, sometimes headstrong” (Whelan, 2002). She sought the frontier in the United States and followed Bishop John Martin Henni of Wisconsin. Maria Moes became Sister Alfred Moes. It was she who broke off from the Mother House in Joliet, Illinois, and eventually moved a convent of sisters to Rochester in 1877 with the principle mission of teaching (Whelan, 2002). “ ‘Very well,’ she persisted, “but if you promise me to take charge of it, we will set the building before you at once. With our faith and hope and energy, it will succeed.” I asked her how much money the Sisters would be willing to put into it. Her reply was, ‘How much do you want?’ ‘Would you be willing to risk $40,000,’ I said. ‘Yes,’ she replied, ‘and more if you want it. Draw up your plans and it will be built at once’” (Whelan 2002). That idea sealed with a handshake, concluded that William W. Mayo and his medically educated sons, new graduates of mid-western medical schools, would staff the hospital. Saint Marys opened in 1889 as a surgical-only hospital, with exclusively the brothers Mayo and their partners as the staffing physicians. The Sisters of Saint Francis, self-trained in administration and nursing with the help of the physicians of the burgeoning Mayo Clinic, took on the responsibility of running a Catholic hospital. Many years later, Dr Will Mayo reflected that much of the success was due to the time at which he and his brother entered medicine. He referred to surgical developments of antisepsis and asepsis that yielded unprecedented opportunity. Indeed, Saint Marys Hospital had the good fortune of opening during a new surgical era. Despite the diversity of their backgrounds, mutual associations significantly helped the Mayos and the Franciscans bridge their differences. Most importantly, they shared a common goal – Saint Marys Hospital’s success. Financially speaking, the Mayos, particularly Dr Will Mayo, were pleased that the hospital paid its own way. The Mayos wanted the hospital to be fully self-supporting. They adopted the policy of telling patients to pay the sisters’ bill first and their bill for professional services second. The hospital underwent unprecedented growth, driven by the expertise of the Mayo brothers with their growing reputation, and the reputation of the hospital (Whelan, 2002). Sister Whelan in her historical recount describes the religious challenges of the day. “The Mayos’ dominance of healthcare in Rochester did not go unchallenged. Dr W.A. Allen, the Mayos’ homeopathic rival in Rochester, saw the advantage that Saint Marys Hospital gave the Mayos, and began making plans for a hospital of his own. He formed a partnership with another homeopathic physician, hired a trained nurse, and rented a remodeled house. The new hospital, called Riverside Hospital, opened for patients in November 1892. Sentiment rose high enough in Rochester to put the “American Protective Association” planks against Catholic institutions into state political platforms. Local Protestants renewed their opposition to Saint Marys Hospital, and pointed to the rival Riverside Hospital as an institution that Protestants and patriots would enter without doing outrage to their convictions by furthering an agency of the “hated and alien Catholic Church.” Dr Allen saw his chance and made a bid for more business by inviting local physicians, who were not homeopathic, to use the Riverside Hospital. At this juncture, two important members of the Presbyterian church fell ill and were taken to the Riverside Hospital. They called on the doctors Mayo to attend them. The Mayos faced an important decision. On one hand, to refuse to attend patients at Riverside Hospital cemented their alliance with the Catholic Saint Marys Hospital and made them a target of abuse by their fellow Protestants. On the other hand, to accept patients at Riverside divided their practice between the two hospitals and would have been disastrous for Saint Marys Hospital, because most of their patients would choose the non-Catholic hospital. After deliberating, the Mayos refused to attend patients or operate in the Riverside Hospital. The biographer, Helen Clapsattle, says about their decision, “The Mayos were wise enough to see the advantages of centralizing their practice in one hospital under one staff, particularly a hospital and staff they controlled. Moreover, the Mayos felt a strong moral obligation to the Sisters of Saint Francis who had just lately decided to put all of their eggs in the Mayo basket and were now adding to their investment. And finally, the Mayos were not men inclined to knuckle under to public clamor or the pressure of opposition” (Whelan, 2002). As anticipated, the Mayos’ decision brought censure from a segment of the Protestant community. In the midst of these contentious times, the Mayos quietly focused on their practice. When critics attacked them and waited for a response, they chose to ignore the abuse and appeared unperturbed by it. Indeed during the height of their controversy, Dr Charlie Mayo married Miss Edith Graham, one of the first professional nurses at Saint Marys Hospital on April 5, 1893. The Riverside Hospital had been in operation for more than two years when, in September 1895, Dr Allen said he was leaving his practice in Rochester and moving to Saint Paul. The Riverside hospital closed. The Mayos’ decision to centralize their surgical practice became a primary factor in Saint Marys success (Whelan, 2002). In 1897, the Mayos performed 915 operations. By 1906, 5,000 operations were performed at Saint Marys Hospital, more than half of them intra-abdominal. It was the Mayo brothers who recognized, because of the burgeoning practice, that they could not be skilled in all aspects of medicine. They began to bring on associates, some of whom were nonsurgical, and who could help with the medical management, care, and assessment of patients presurgically. By the turn of the century, the Mayo medical roster numbered eight doctors, including among them Henry Plummer and Edward Starr Judd. Pathologist Louis Wilson joined the staff in 1905. William McCarty, from Johns Hopkins, joined the staff and refined the diagnostic value of histology applied to surgical pathology (Clapsattle, 1969). As the Mayo brothers’ skill and reputation grew, they were invited to speak as celebrities in the medical field. In a famous speech given at the 1910 Rush Medical College commencement, Dr Will Mayo captured the essence of the Mayo Clinic, “As we grow in learning, we more justly appreciate our dependence upon each other. The best interest of the patient is the only interest to be considered, and in order that the sick may have the benefit of advancing knowledge a union of forces is necessary” (Mayo, 2000). The primacy of the patient welfare, altruism, competence, and teamwork became the Mayo Clinic’s primary values derived from this very statement. “The needs of the patient come first,” and the Mayo Clinic’s mission, “Mayo will provide the best care to every patient every day through integrated clinical practice, education, and research,” reflect the institution’s history, primary value, and mission, and is used as a guide to the current day (Mueller 2009). Scientific advances during the first decade of the twentieth century made major contributions to surgery. In 1913, surgeon Dr Franklin Martin of Chicago organized the American College of Surgeons to maintain the highest ethical and professional standards Members of the college elected Dr William J. Mayo president of the organization and Dr Charlie H. Mayo to the first Board of Regents. The American College of Surgeons chose Catholic hospitals to begin their reform programs for two reasons. First, half of US hospitals were Catholic institutions. Second, experience told them that hospitals supported by civic communities strongly resisted admitting flaws in the institution they built. By contrast, they perceived Catholic institutions as more homogeneous, less tied to local community control, and potentially more open to reform. Dr Martin reflected on the decision, “The Catholic hospitals, many of them the oldest in the United States and Canada, contain more than 50% of all beds on the continent. As we viewed it, hospital standardization to succeed must be looked on as a spiritual as well as an educational movement.” Directors of the Surgeon’s College believed that a national Catholic hospital organization would offer a resource for reform (Whelan, 2002). Father Charles B. Moulinier SJ, a member of the Marquette University School of Medicine in Milwaukee, was selected to head the new Catholic Hospital Association. In less than one year, Father Moulinier convened the first convention of the Catholic Hospital Association in 1915. Sister Joseph Dempsey OSF, of the Sisters of Saint Francis of Rochester, was appointed and acted as chairman for the business meeting. She served as the first chairperson of the organization. Sister Joseph was the “famous Supervisor of Surgery at Mayo Clinic” (Whelan, 2002). The American College of Surgeons met in April 1918. That summer, during its convention, the Catholic Hospital Association officially resolved to support the program for reform. Members agreed that a resolution be sent to Dr William J. Mayo, President of the American College of Surgeons, to read as follows: “Be it resolved that we, the Catholic Hospital Association of the United States and Canada, now assembled in Chicago in our third annual convention, approve the work being done by the American College of Surgeons for the standardization of hospitals, and assure the College of our full cooperation in its endeavor for the betterment of hospitals and the resultant increased welfare of mankind.” This resolution pledged almost 600 hospitals to standardization (Whelan, 2002). Early in 1914, the medical faculty of the University of Minnesota, which had been recently consolidated from several medical schools, began to make plans for instituting graduate work in clinical medicine. President George E. Vincent suggested, when approached by the Mayo brothers, that they might be able to form a corporate foundation to handle the education and research phases of their work in Rochester. Dr Will Mayo immediately agreed. On February 8, 1915, Dr Mayo and his partners executed articles incorporating the Mayo Foundation for Medical Education and Research. The next day, doctors Will and Charlie endowed it by transferring to three trustees, securities amounting to $1.5 million. This was to be administered by individuals within the University of Minnesota, but this was met with resistance by local medical societies from Minneapolis and Saint Paul. This eventually went to the Minnesota legislature; and when the legislature convened in 1917, opponents became vocal in their opposition to linking the University of Minnesota to Mayo Clinic (Clapsattle, 1969). Dr Will Mayo was asked to appear for legislative hearings about the impending bill allowing association between the University of Minnesota and Mayo Clinic. The speech given that day is one of the lost orations of the Mayo Clinic; however, small sections were recorded in local newspapers. It was recorded that Dr Will Mayo said, “Every man has some inspiration for good in his life. With my brother and I, it came from our father. He taught us that any man who has physical strength, intellectual capacity, or unusual opportunity holds such endowments in trust to do with them for others in proportion to his gifts. We want this money to go back to the people from whom it came, and we think it can best be given back to them through medical education” (Clapsattle, 1969). Quoting from Lincoln, “that these dead shall not have died in vain,” Dr Will Mayo said, “that line explains why we want to do this thing. What better could we do than help young men to become proficient in the profession so as to prevent needless deaths?” Objections were overruled, and the association between Mayo Clinic and the University of Minnesota was established. That was in March 1917. America declared war against Germany on April 6, 1917. Articles making the affiliation permanent were signed September 17, 1917 (Clapsattle, 1969). Later, quotes in news accounts included, “What we want to do is make the medical experience of the past generation available for the coming one and so on indefinitely so that each new generation shall not have to work out its problems independently but may begin where its predecessors left off. This Foundation, its fund, and all that goes with it are the contribution of the sick of this generation to prevent sickness and suffering in the next and following generations” (Clapsattle, 1969). Before 1922 Saint Marys Hospital was exclusively a surgical hospital, because the surgical demand left no hospital rooms available for patients with exclusively medical problems. A major expansion occurred in 1922. Within the year, renovations in the older part of the building provided facilities and patient beds for the Departments of Medicine, Pediatrics, and Obstetrics. The sisters borrowed $2 million to complete the task. In honor of the 1922 expansion, Dr William Osler, who is considered the father of Internal Medicine, contacted his friends the Mayos. Now residing at Oxford University after spending many years at Johns Hopkins, he noted the change and hailed it with joy. “The surgeons have had their day, and they know it! The American Saint Cosmas and Saint Damian, the Mayo brothers, have made their Clinic today as important in medicine as it ever was in surgery. Wise men! They saw how the pendulum was swinging” (Clapsattle, 1969). The depression of the 1930s, however, created a markedly different environment. Whereas the 1920s had been bountiful, widespread prolonged unemployment made people reluctant to come to Saint Marys Hospital for treatment. Those who came often had no money to pay their bills. In 1931, patients numbered 6,527, less than half the number recorded three years earlier. The next year, hospital registrations sank to 40% of capacity (Whelan, 2002). Struggling to keep financially afloat, the congregation of the Sisters of Saint Francis looked to Saint Marys Hospital for its lifeline. Earlier, Sister Joseph had established a fund for building a larger chapel. The Chapel Fund offered a source of immediate revenue. Between September 1932 and January 1933, the congregation borrowed more than $50,000 from the fund to cover financial obligations. Hospital monies would continue to play a vital role in meeting the congregational debt The congregation’s broker, hired to administer repayment of the debt notes, had misused the Sisters’ money for his own purposes. The congregation lost $350,000. The newly elected Mother Superior, Aquinas Norton, appointed Sister Adele O’Neill as congregational treasurer. Since eighty percent of the creditors were from Chicago, Sister Adele sought assistance from a large Chicago bank. As she put it, “We made friends with the Continental Bank of Chicago and found the vice president to be very helpful” (Whelan, 2002). The year 1939 was a difficult one for Mayo Clinic. Both Dr Charlie Mayo and Dr Will Mayo died in that year. The collaboration between the Mayos and the Sisters of Saint Francis, however, was thriving. Sister Joseph Dempsey, who was the principal administrator for Saint Marys Hospital, also died in 1939 of an acute respiratory infection (Whelan, 2002). These giants created the collaboration between Saint Marys Hospital and Mayo Clinic. Ironically, at the time of their deaths, that collaboration was thought to be cemented in perpetuity. Prior to 1968, the collaboration between the Sisters of Saint Francis and Mayo Clinic thrived symbiotically based on the mutual agreement. The agreement that established Saint Marys Hospital was created by a handshake, not by a contract. The governance of Saint Marys Hospital was by the Sisters of Saint Francis, who controlled finances, operations, and administration. Mayo Clinic physicians collaborated with the Sisters by overseeing surgical services and inpatient medical care (Whelan, 2002). The first ethical and religious directives (ERDs) from the United States Conference of Catholic Bishops (USCCB) were published in 1948, creating for the Catholic Health Association (CHA, formerly the Catholic Hospital Association formed so many years before), the basis for hospital uniformity of Catholic identity (USCCB, 2009). Changes subsequently precipitated by the Second Vatican Council by 1968 led to reformulation and reconsideration of many of the initial recommendations. This social change, coupled with the decrease in the number of religious sisters committed to religious life, changed the workforce available for Catholic hospitals. At Saint Marys hospital, Sister Mary Brigh Cassidy, the Saint Marys Hospital administrator in 1968, established the Board of Trustees comprised of Sisters and public members. A “Philosophy of Sponsorship” document was created by the Sisters of Saint Francis in 1973. This document sought to provide practical guidance to both sisters and lay individuals regarding the day-to-day operations at the hospital. In 1983, the Saint Marys Hospital Board of Trustees appointed their first Franciscan Sponsorship Coordinator. The role of this person was to ensure that the values articulated in the “Philosophy of Sponsorship” documents were upheld. As the Saint Marys Hospital Board of Trustees continued to operate as a separate entity, the Sisters of Saint Francis occupied a one-over-half majority on that board (Swetz et al., 2013). With increasing growth of Mayo Clinic, and dwindling numbers of Sisters of Saint Francis, the Sisters and interested stakeholders recognized the importance of maintaining the Catholic and Franciscan identity of Saint Marys Hospital. Eventually, because of changes at Mayo Clinic and an increasing need for Mayo to be involved with the governance of Saint Marys Hospital, the Sisters of Saint Francis turned Saint Marys over to Mayo Clinic. The sisters and Mayo created the “Sponsorship Agreement” executed on May 28, 1986. This was a formal written agreement between the Mayo Foundation, Saint Marys Hospital, and the Sisters of Saint Francis. The document formally created the Saint Marys Sponsorship Board. The Mayo Clinic, through the Mayo Foundation, with a common governance and management structure, took over the day-to-day operations of Saint Marys Hospital but agreed to continue to operate it as a Catholic hospital. In order to maintain that designation, Mayo Clinic agreed to several contingencies. First, was to continue to follow the ethical and religious directives (ERDs) under the diocese of Winona and the bishop (USCCB, 2009). Second, the Philosophy of Sponsorship document would continue to provide guidance regarding the overall day-to-day workings of Saint Marys Hospital. Finally, a philosophy and mission statement of Saint Marys Hospital promoting the common goals and values of the Sisters of Saint Francis was set against the backdrop of the Mayo Foundation. The Sponsorship Agreement insured the Catholic identity of Saint Marys Hospital, beyond outward signs and symbols. The goal of sponsorship was defined as collaboration between the Sisters of Saint Francis and Mayo Clinic to promote and preserve key values the founding Franciscan Sisters and Mayo physicians embraced (Swetz et al., 2013). The question, “What makes a hospital Catholic?” has been addressed in publications during the last 30 years (Swetz et al., 2013). The Catholic Health Association (CHA) published guidelines regarding this in their 1980 publication “Evaluative Criteria for Catholic Health Care” (CHA, 1980). This was shortly followed by the United States Conference of Catholic Bishops’ pastoral letter on “Health and Health Care,” which described challenges Catholic hospitals faced (USCCB, 1981). These documents, along with successive iterations of the ERDs, have provided guidance to Catholic institutions for operationalization of these goals (USCCB, 2009). However, the Saint Marys Sponsorship Board has not exercised operational control of the hospital assets since 1986. Rather, these are controlled by Mayo Clinic. The Sponsorship Board, however, has been responsible for influencing the fiscal policy of the organization, particularly at Saint Marys Hospital, so that resource allocation occurs in an appropriate fashion, in alignment with the ERDs. Regarding the beginning of life, all reproductive care at Mayo Clinic Rochester is provided at Rochester Methodist Hospital where abortions and in vitro fertilization programs reside, separate from Saint Marys Hospital. This model has been described as a “carve out” where Saint Marys Hospital has no supervisory, financial, or direct involvement in issues that would violate Catholic ERDs. However, end-of-life palliative care is readily available at Saint Marys Hospital and follows the ERDs. The issues at the beginning and end of life are monitored by the Ethics Consultation Service of Saint Marys Hospital in conjunction with the Sponsorship Coordinator. The Winona diocese and Bishop, or his appointee, is consulted on an ad hoc basis if issues arise that require further scrutiny. The close link between Mayo’s institutional values, the Franciscan values, and Catholic healthcare values are supported by this sponsorship agreement. This governance mechanism of “influence” has been in place for over 25 years. The Sponsorship Agreement created a variety of concerns for the future. First, the Sponsorship Board does not have a direct financial or asset control in order to insure ERDs are followed at Saint Marys Hospital. Financial pressures are to consolidate services in a single hospital entity. Second, secular cultural influences of “inclusion’” may create medical practices that violate the ERDs. Third, the Sponsorship Board, which is under the influence of the Sisters of Saint Francis, can only “influence” fiscal policy. This happens only indirectly, and there is no direct Franciscan presence on the Mayo Board of Governors, which actually determines the policies for Mayo Foundation. Finally, the Sisters of Saint Francis of Rochester are dwindling in numbers. This reduction creates an inevitability of reduced influence by the Sisters of Saint Francis on the policies of Mayo Clinic as carried out at Saint Marys Hospital. This will certainly have an impact on reproductive services and end-of-life ethical issues in the future. The USCCB has expressed interest in “forming new partnerships with healthcare organizations and providers.” There has been, however, no embracing of this initiative by Mayo Clinic, its Board of Governors, and particularly no interest by the governance of Mayo Clinic to deal with controversies challenging the ERDs. This has been played out by the silence of Mayo Clinic Board of Governors during the discussion of the assault on Catholic health care by the Health and Human Services mandate recently. The Sisters of Saint Francis have tried to expose Mayo Clinic personnel to Franciscan values by providing for and guiding an annual Franciscan Leadership pilgrimage since 1997 for Mayo administrators to Assisi, Italy. This is to create an influence of both Franciscan and Catholic values in the governance of Mayo Clinic. The concrete manifestations of this influence however are not readily apparent to most Mayo Clinic staff physicians who routinely work at Saint Marys Hospital. Indeed many are not cognizant of the existence of the Sponsorship Board, and its role in influencing the governance of Saint Marys Hospital. At Mayo Clinic, “the needs of the patient come first” is soundly grounded in the historical and operational activities of the institution. The 25th Anniversary of the Sponsorship Agreement was celebrated in 2011. However, the collaboration with the Sisters of Saint Francis has changed, and the Catholic identity of Saint Marys Hospital is ending because of the waning influence of the Sisters in the operations of the hospital. Concerns among lay physicians who work in Saint Marys derive from the uncertainty about the future, and the concerns about the consistency of the Mayo Foundation in following those agreements initially articulated in the Sponsorship Agreement in 1986. The Catholic identity of Saint Marys Hospital is left in doubt. The question for the Mayo Foundation and the Sisters of Saint Francis is “Where do we go from here?” The hope for the future of Catholic influence may be with the lay faithful of the hospital, to maintain the Catholic identity of Saint Marys. However, no provision to empower them has been created to bring about this end. “Mayo Clinic currently has a single integrated hospital practice divided between two hospital licenses and two legal entities. Regulations require separate reporting for the two hospitals, which has led to an increasingly incomplete and incorrect picture of our care. Reporting as one hospital will ensure that regulatory agencies, payers, and patients have accurate information about Mayo Clinic. “The change in legal status means that Saint Marys Hospital will no longer be an official Catholic health care institution. However, the history, values and connections that have shaped the hospitals and Mayo Clinic will remain. The Academy of Our Lady of Lourdes Board, comprised of leadership from the Sisters of Saint Francis, approved the change in legal status. “Even though the hospital name is changing, the Franciscan Mission and Founders’ Values will remain. Patients, families, staff, and the public will continue to see widespread presence of the Franciscan Mission and Founders’ Values throughout Saint Marys Hospital. Saint Marys chapel will continue the current worship schedule, worship broadcast, and reservation of the Eucharist. The chaplaincy services at the hospitals will remain the same. The convent on the current Saint Marys Hospital campus will remain. The Sisters of Saint Francis presence at the hospital will remain unchanged. Sponsorship Board activities will continue through a new structure that is being jointly developed by the Franciscan Sisters and Mayo Clinic” (Mayo News release, March 25, 2013). These decisions have taken place essentially as a business transaction between Mayo Clinic and the Sisters of Saint Francis. This serves as an example of the lost influence of Catholic culture on one of the prominent medical institutions of our time. “Admitting that rules and regulations may be necessary to conduct the affairs of the Clinic, we hope that too many rules and regulations will not be instituted.... t is necessary to have a liberal attitude towards those who are responsible for the care of the patients, and to see that necessary rules and regulations do not needlessly interfere with the initiative of members of the staff. We know only too well the necessity for efficient management, butthere is a spiritual as well as a material quality in the care of sick people, and too great efficiency in material details may hamper progress” (Beck, 2000). Where will this spiritual influence come from? Beck, C.S., “Mayo’s Spiritual Heritage,” Mayo Clinic Proceedings, 2000: 75, pp. 1111-12. Facilities: A Working Document for Self-Renewal (St Louis: The Catholic Health Association of the United States, 1980). Clapsattle, H., The Doctors Mayo (Rochester, MN: Mayo Foundation for Medical Education and Research, 1969, fifth printing 1990). Mayo Clinic News Center, “Saint Marys and Rochester Methodist Hospitals to become single licensed hospital,” March 25, 2013. Mayo, W.J., “The necessity of cooperation in medicine,” Mayo Clinic Proceedings, 2000: 75, pp. 553-56. Mueller, P.S., “Incorporating Professionalism into Medical Education: The Mayo Clinic Experience,” Keio Journal of Medicine, 2009: 58 (3), pp. 133–43. Swetz, K.; Crowley, M.E. ; Maines, T.D. ; “What Makes a Catholic Hospital ‘Catholic’ in an Age of Religious-Secular Collaboration? The Case of the Saint Marys Hospital and the Mayo Clinic,” HEC Forum. Published online January 6, 2013 (DOI 10.1007/s10730-012-9207-8). United States Conference of Catholic Bishops, Health and Health Care (1981). MN: Mayo Foundation for Medical Education and Research, 2002).